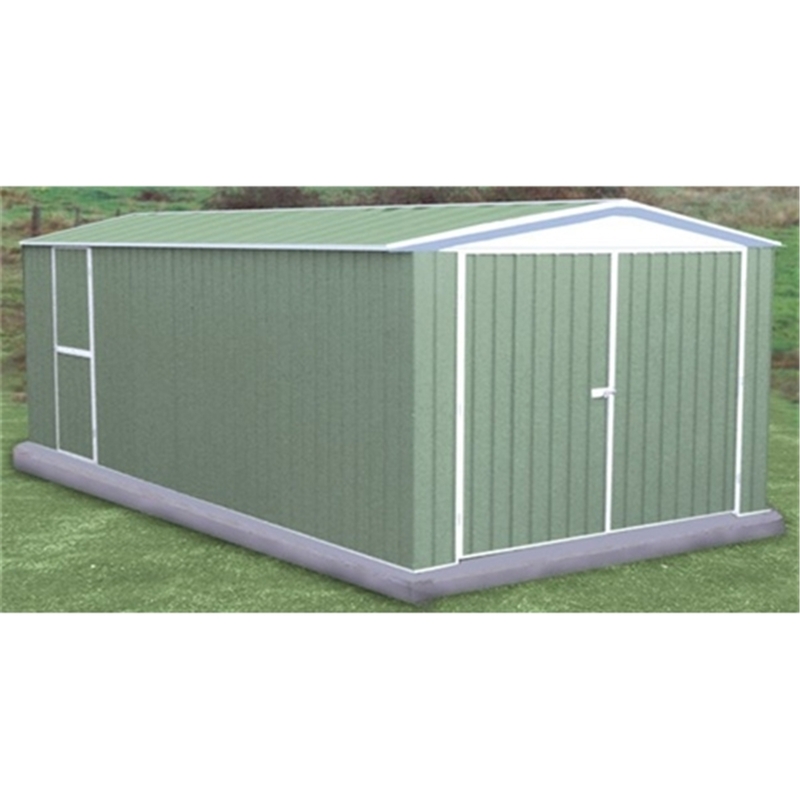 The 10ft x 20ft Utility (3m x 6.02m) Metal Shed has a unique daylite front panel with provides extra light making this an ideal workshop and one of our best selling sheds. The sheds are tough and durable when anchored to the manufacturers recommendations. Anchor kits are available as an optional extra, please see the options above for more details. The shed is delivered in preassembled panels featuring the unique, patented Snap & tite assembly system. It has been described as the easiest range to assemble on the market - instructions are also included. Thanks to the Pent roof, water is diverted away from the building thus avoiding puddles gathering at the base and causing internal damp problems. Ground anchor kits are available as an optional extra - please see the above options.